Ready to take your life on the road or head out on a cross-country road trip? If so then you needed to head to your local Wisconsin Airstream dealer in Franklin, Wisconsin and see one of the many new and used Airstream trailers for sale. 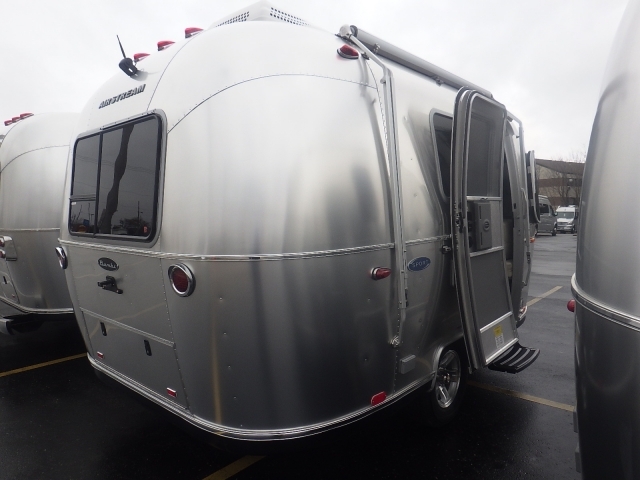 At Ewald’s Airstream of Wisconsin has a large selection of new and used Airstream trailers for sale in Wisconsin, with everything from an Airstream Sport, to an Airstream Flying Cloud and so much more. 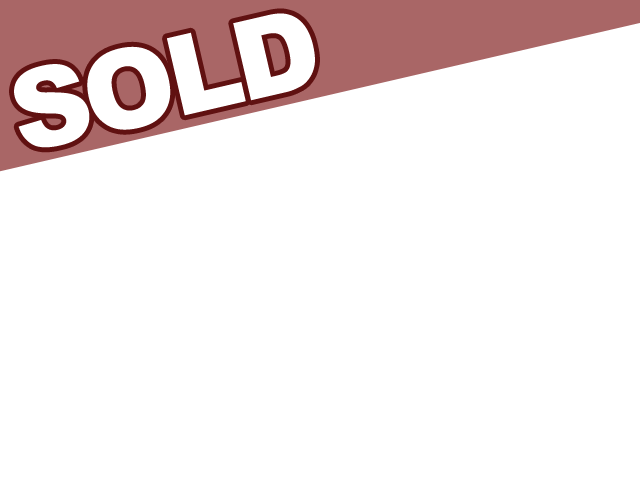 Here at this Wisconsin Airstream dealer, we understand that when it comes to finding a large selection of new and used cars for sale, the process can seem never-ending. Which is why we have a team of people who are happy to answer any and all questions you may have about one of the many new and used Airstream for sale in Franklin, Wisconsin. That includes questions about one of the many Airstream Bambi for sale like an Airstream Sport for sale. This Airstream Bambi comes with many features both inside and out that you will not want to miss. The moment you step into the Airstream Sport, you will feel right at home in this cozy Bambi trailer for sale. The Airstream Sport offers panoramic windows that make this trailer feel bright and airy. The Sport comes with a dinette and lounge seating, handcrafted Italian cabinetry, seamless vinyl flooring, and accent colors that evoke the outdoors. This Airstream Bambi also comes with a galley style kitchen with premium countertops makes it a breeze to prepare and serve your favorite meals. Plus with savers like a cutting board sink cover and cover for the stove top make serving your food a breeze. Worried that there will not be enough room for overnight guest to sleep in this Airstream trailer for sale? 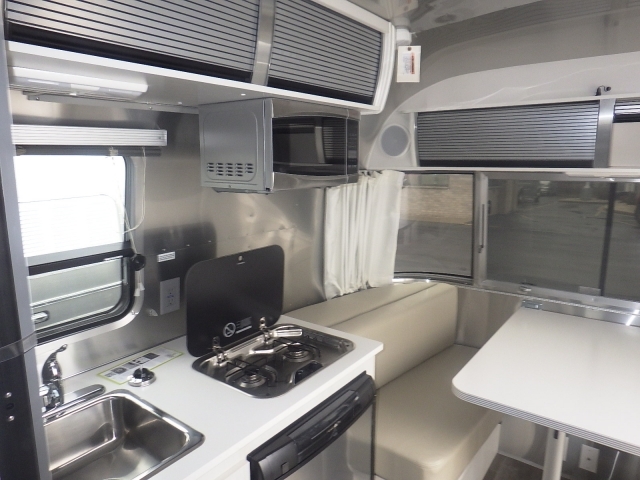 With the Airstream Sport, the dinette easily folds into a comfortable bed that sleeps two. And when you’re ready for breakfast the next morning, the bed transforms back into a dinette with ease. With its fluid design and high-end features, you will feel like you are staying, in a five-star hotel and not in a travel trailer. The Airstream Sport can be as short as 16’4, ” and as long as 22’ and a net carrying capacity of roughly 700 LBS, this Airstream travel trailer can fit in those tiny spaces that other bigger bulkier 5th Wheel trailers would not. Plus because of its rounded and aerodynamic design, you will feel less drag and less pain at the pump when you tow this Airstream travel trailer. Plus because of the innovative single axle design, you can tow this Airstream Sport with a small SUV or truck with ease. This travel trailer for sale also comes with advanced anti-sway technology so everyone from a first-time driver, to an experienced trailer owner, can tow it with ease. When you need a quality Airstream trailer for sale, like the Sport, you can count on Ewald’s Airstream Of Wisconsin. Come and see just how impressive an Airstream trailer for sale is and schedule a walk through or one of the many impressive Airstream trailers for sale here at Ewald’s Airstream of Wisconsin. Ewald’s Airstream of Wisconsin is located at 6319 S 108th ST in Franklin, WI 53132.